Three brothers eat breakfast together in a small town in Pakistan. Instead of observing Eid together, they carefully decide which mosque each brother will attend. Then they leave to go about their days--Aman Erum takes a taxi to a meeting, Sikander goes to pick up his wife Mina before work at the hospital, and Hayat rides his motorbike to an abandoned university to meet other young people who are dedicated to freeing their home. By the end of the morning, their carefully constructed existences will be changed forever. 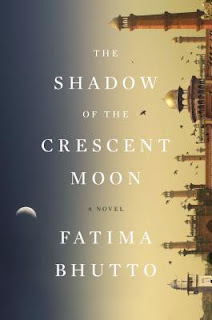 The Shadow of the Crescent Moon is one of those books where very little happens. The book only covers three hours in the lives of one family, but each of them think back through their history so the reader comes to understand who these people are and the events that have made them this way. This story is framed through the eyes of the three brothers, but the characters who really shine are Samarra, a radical young woman with ties to both Aman and Hayat, and Mina, Sikander's wife who is grieving war and loss in a very peculiar way. Author Fatima Bhutto makes it seem like there are good people and bad people but, as pieces are slowly revealed, we learn that these are just people trying to save themselves and the ones they hold dear. By the end of the book, you may want to turn back to the beginning and read it all again to see which seemingly mundane moments were actually the ones to change everything. In 1893, a Spanish princess stunned the rebellious citizens of Cuba before becoming a sensation at the Chicago World's Fair. The Infant Eulalia impressed people with her style, her confidence, and her willingness to speak the truth about the limitations of royalty. Accompanying her is Tomas Aragon, her secretary and the son of her wet nurse. What do they owe to each other? How will their adult lives intersect? Is it possible to move beyond the choices of their parents? Every time that Chantel Acevedo changed perspective, I grieved for a few pages to lose the motherly insight of Amalia or the childhood memories of a princess. But she has created such unforgettable characters in a princess, a wet nurse, and her son that I would happily read hundreds more pages about any of them. Eulalia really was a Spanish princess who visited Cuba and the World's Fair in 1839. She did have a wet nurse from a poor village, but the life and character of Tomas are invented by the author. 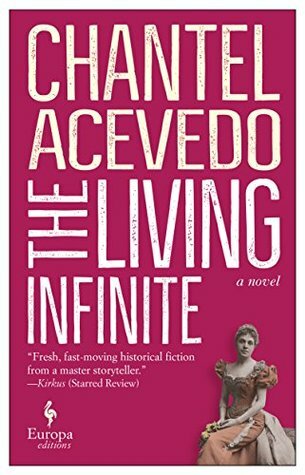 If, like me, you don't know much about this time period in Spain, The Living Infinite will give you an excellent primer on the late 1800s. 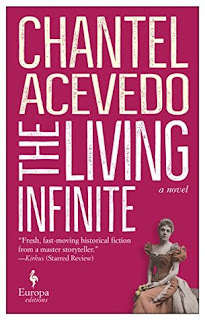 But more than that, Chantel Acevedo has written a truly beautiful story about creating your own life, even under the shadow of bad choices or a royal title. I've heard so many good things about Bhutto's book. One of these days I hope to get to it, but especially because you said this about it, which is a big things for me: "By the end of the book, you may want to turn back to the beginning and read it all again to see which seemingly mundane moments were actually the ones to change everything." Both books sound very good. Thank you for the reviews as I hadnt heard of either.